PeeWee Coached by Mr. Glenn Neill, this grade 7 – 8 co-ed team participates in the GMAA Hockey League and the LCC Hockey Tournament. They play approximately 16 league games. 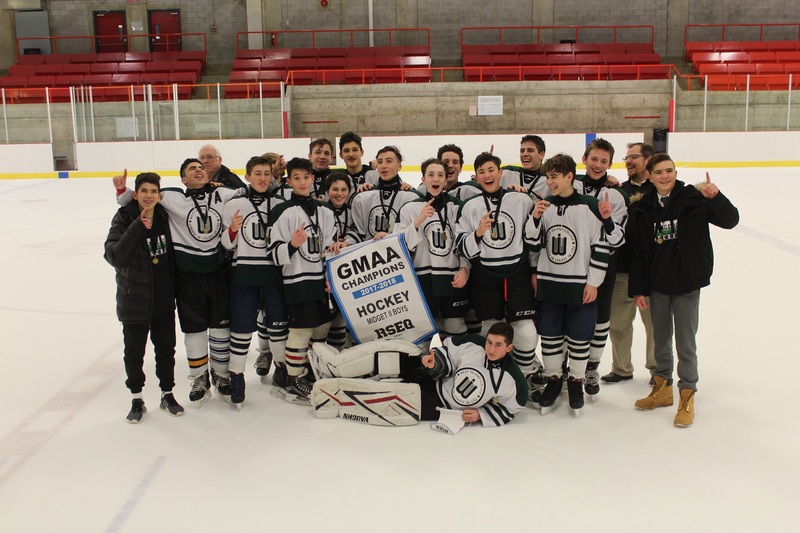 Juvenile Boys Coached by Mr. Glenn Neill, this grade 9 – 11 team participates in the GMAA Hockey League playing approximately 12 league games. Bantam Boys Coached by Mr. Anthony Suppa, this grade 7 team participates in the GMAA Basketball League, the West Island College Basketball Tournament, the Selwyn House Basketball Tournament, and the LCC Basketball Tournament. They play approximately 12 league games. 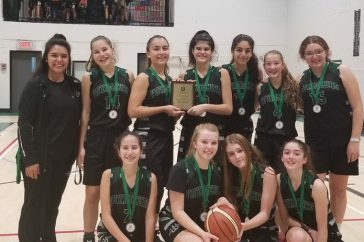 Bantam Girls Coached by Mrs. Tina Grivas, this grade 7 – 8 team participates in the Private School League, the West Island College Basketball Tournament, and the BCS Basketball Tournament. They play approximately 10 league games. 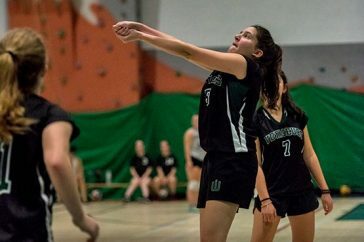 Girls Coached by Ms. Cléo Castenada and Mrs. Sandra Johnson, this grade 8 – 9 team participates in the GMAA Basketball League, the West Island College Basketball Tournament, and the LCC Basketball Tournament. They play approximately 10 league games. 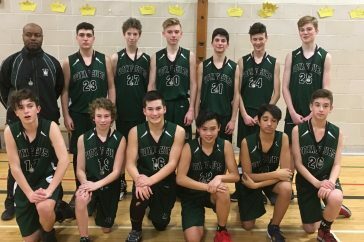 Juvenile Boys Coached by Ms. Melissa St-Arnaud, this grade 10 – 11 team participates in the GMAA Basketball League, the Loyola Basketball Tournament, and the BCS Basketball Tournament. They play approximately 10 league games. 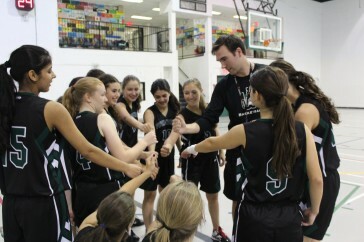 Juvenile Girls Coached by Mr. Chris Merritt, this grade 9 – 11 team participates in the GMAA Basketball League, the West Island College Basketball Tournament, the BCS Basketball Tournament, and the CAIS Sr. Girls Basketball Tournament. 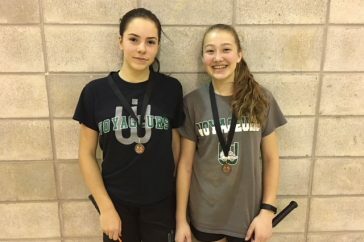 Coached by M. Alexandre Paradis and Ms. Cléo Castenada, the Badminton team is open to boys and girls in grade 7 – 11. 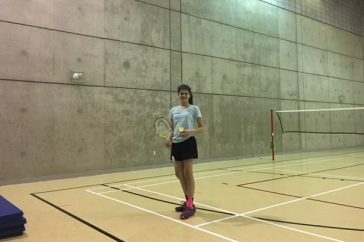 The team participates in the GMAA Badminton League with each team member playing approximately 8 matches. 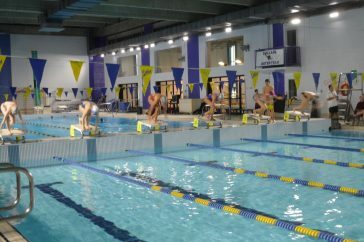 Coached by Ms. Alexandra Santamaria, the Swim team is open to experienced male and female swimmers in grade 7 – 11. 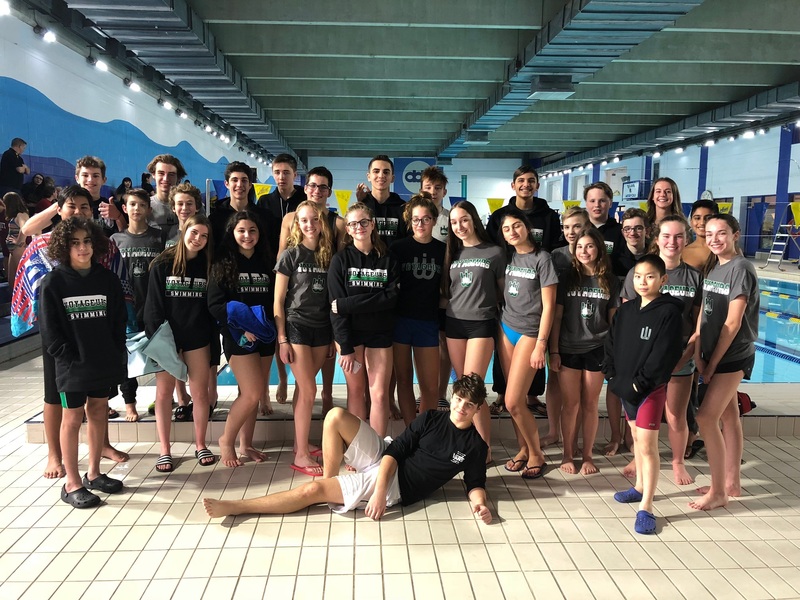 Swim team members compete in the GMAA West Regional Qualifying Meets and the GMAA Championship Meet. 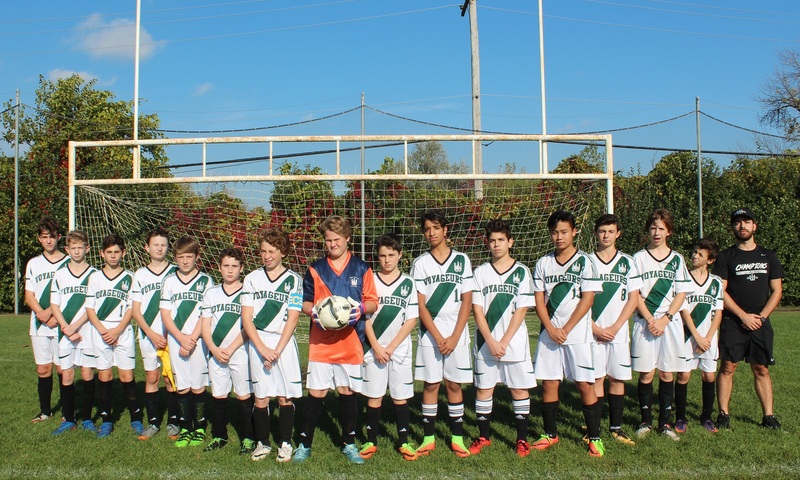 Bantam Boys Coached by Mr. Jason Thompson, this grade 7 – 8 team participates in the GMAA Soccer League playing approximately 8 league games per season. Midget Boys Coached by Mr. Jason Thompson, this grade 8 – 9 team participates in the GMAA 15’s Rugby League. They play approximately 6 league games. 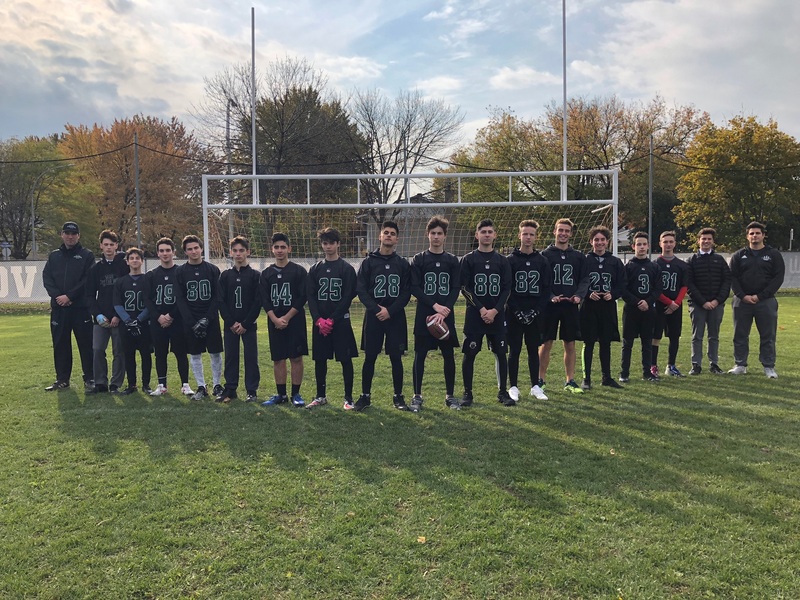 Juvenile Boys Coached by Mr. Michelleti, this grade 10 – 11 team participates in the GMAA 7’s Tournament, the Richmond 7’s Tournament, and the Trois-Rivières 7’s Tournament. 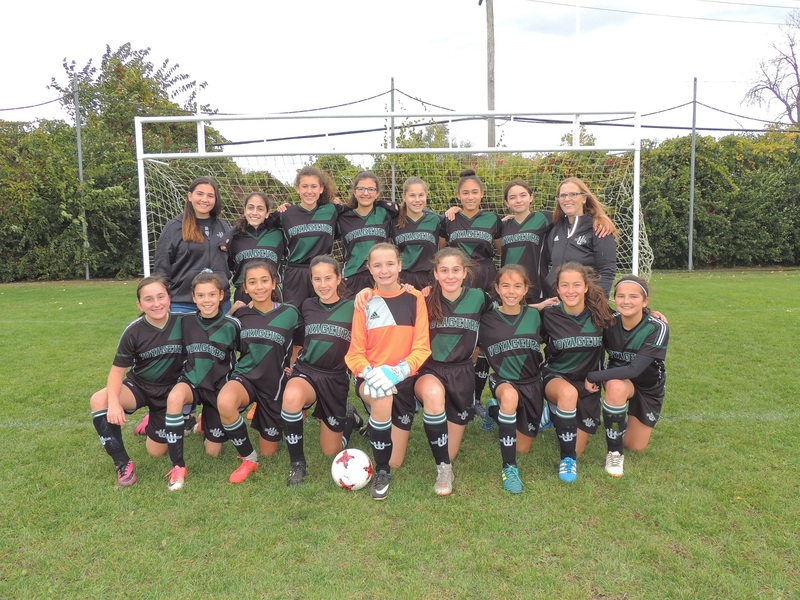 Bantam Girls Coached by Mrs. Sandy Johnson and Mr. Anthony Suppa, this grade 7 – 8 team participates in the GMAA Flag Football League. They play approximately 6 league games. 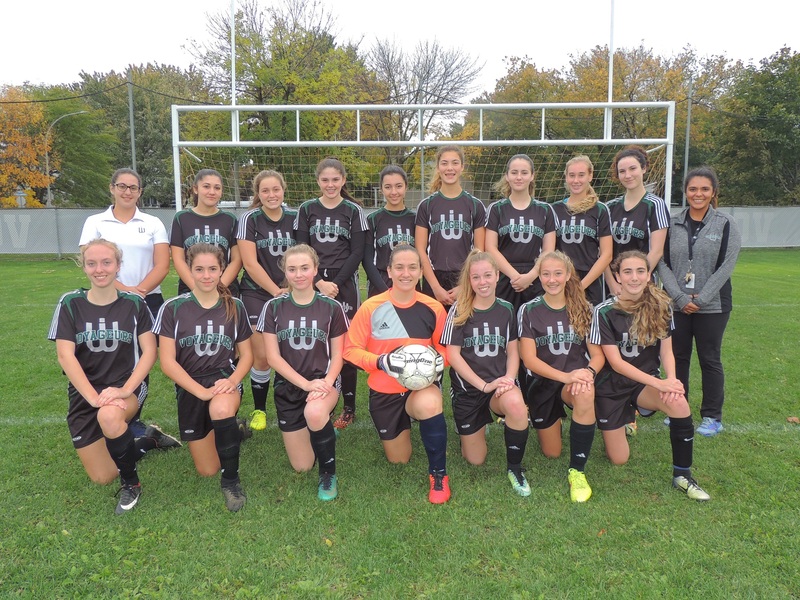 Juvenile Girls Coached by Mr. Chris Merritt and Mr. Patrick Fequet, this grade 9 – 11 team participates in the GMAA Flag Football League. They play approximately 6 league games. 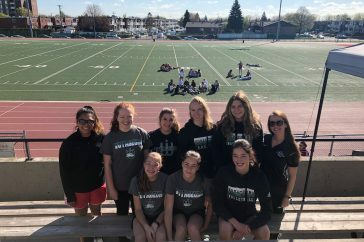 Coached by Ms. Alexandra Santamaria and Ms. Melissa St-Arnaud, the Track & Field team is open to boys and girls in grade 7 – 11. 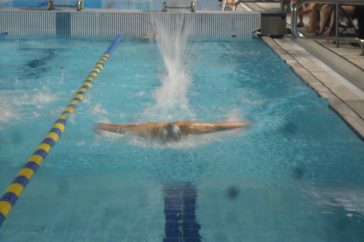 Member s of the team must participate in at least two events in the GMAA Regional Qualifying Meet and the GMAA Championship Meet. 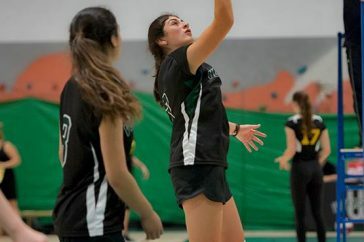 Coached by Mr. Elie Nader, the Team is open to intermediate level boys and girls in grade 7 – 11. The team participates in the GMAA Tennis Tournament. 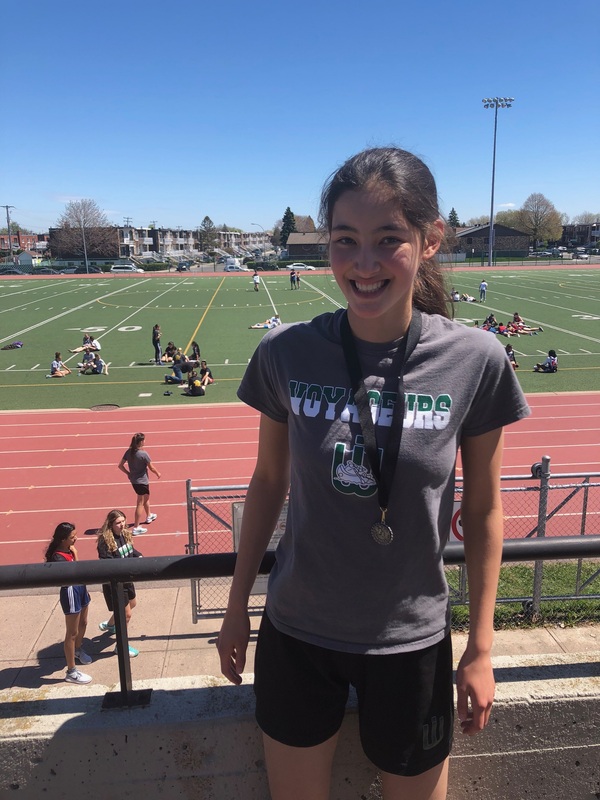 Coached by Mme Valerie Vien, the Halo Run team is open to boys and girls in grade 7 – 11. The team trains regularly throughout the spring season for the GMAA Halo Road Race held on Mount Royal. Bantam Boys Coached by Mr. Victor Abravanel, this grade 7 – 8 team participates in the GMAA Soccer League playing approximately 8 league games per season. 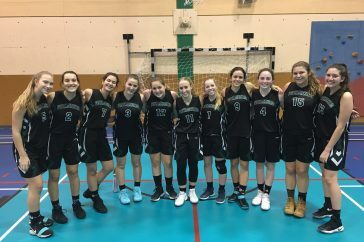 Bantam Girls Coached by Mrs. Eniko Kiefer, this grade 7 – 8 team participates in the Private School League playing approximately 8 games per season. 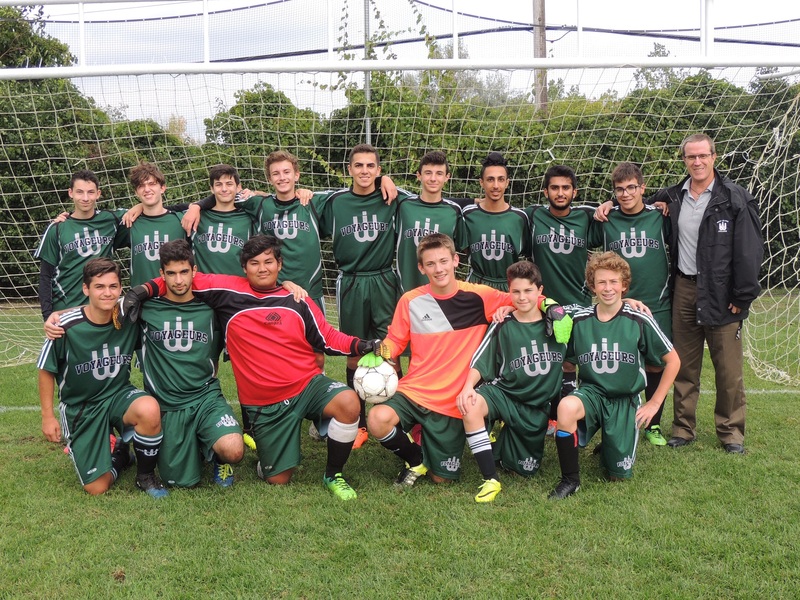 Juvenile Boys Coached by Mr. Patrice Nantel, this grade 9 – 11 team participates in the GMAA Soccer League playing approximately 8 league games per season. 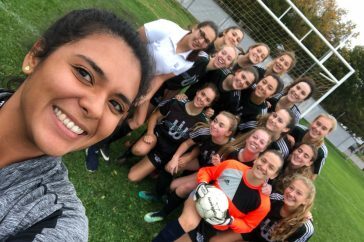 Juvenile Girls Coached by Ms. Cléo Castenada, this grade 9 – 11 team participates in the GMAA Soccer League playing approximately 8 league games per season. 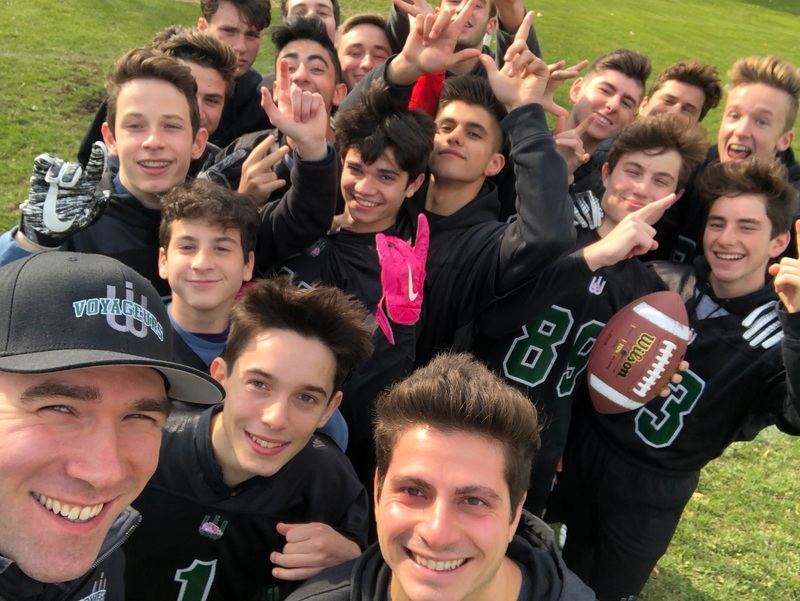 Juvenile Boys Coached by Mr. Chris Merritt & Mr. Anthony Suppa, this grade 9 – 11 team participates in the GMAA Touch Football League. They play approximately 8 league games. 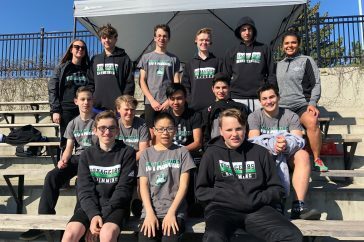 Bantam Boys Coached by Ms. Melissa St-Arnaud, this grade 7 – 8 team participates in the GMAA Volleyball League playing approximately 10 league games. 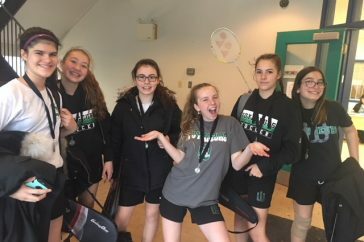 Bantam Girls Coached by Mme Élodie Lauzière , this grade 7 – 8 team participates in the GMAA Volleyball League playing approximately 10 league games. 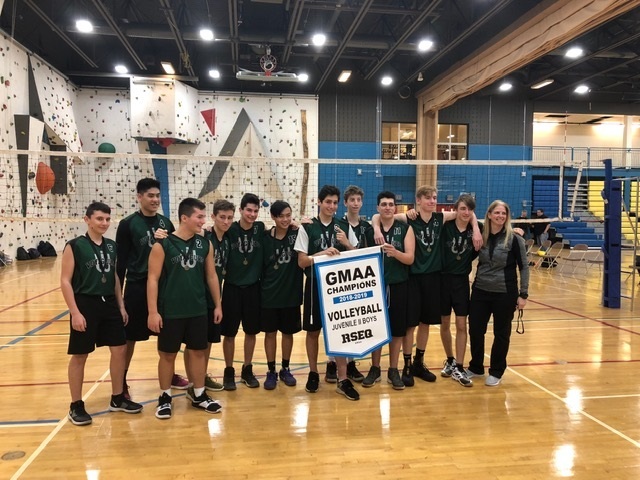 Juvenile Boys Coached by Mrs. Sandra Johnson, this grade 9 – 11 team participates in the GMAA Volleyball League playing approximately 10 league games. 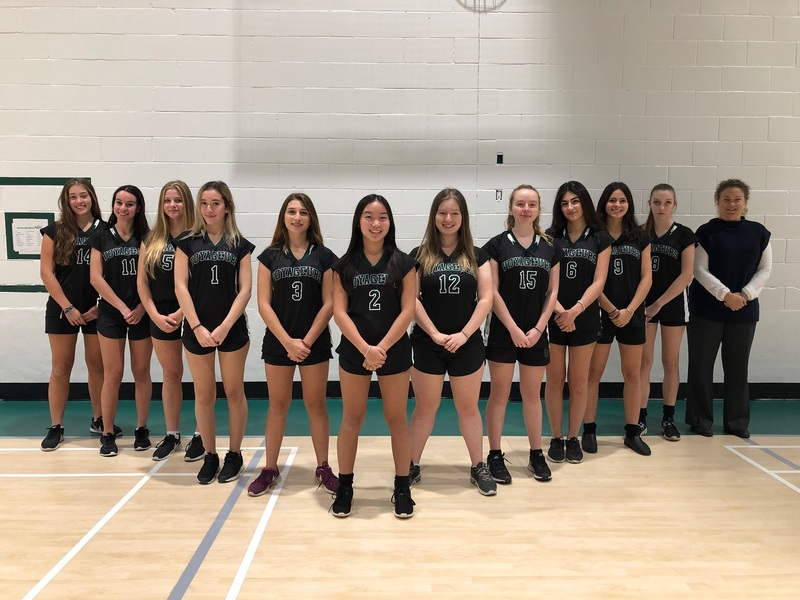 Juvenile Girls Coached by Mr. Andrew Lee, this grade 9 – 11 team participates in the GMAA Volleyball League playing approximately 10 league games. 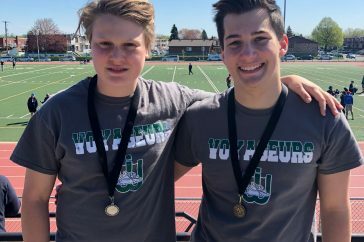 Coached by Mr. Alexandre Paradis, the Golf Team is open to boys and girls in grades 7 – 11. 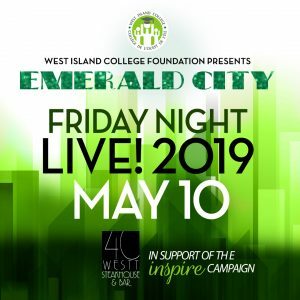 Participants must qualify for the GMAA Championship Tournament by posting a reasonable score at the West Island College qualifying match. 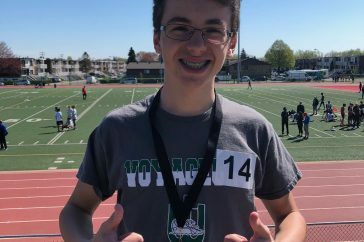 Coached by Mme Valerie Vien, the Cross Country Running team is open to boys and girls in grades 7 – 11. Depending on their age participants will run in either the 2km, 3km, 4km, or 5km race. 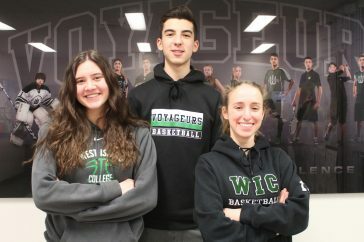 The team races in the West Island College Voyageurs Run and the GMAA Championship Run.